In 2000, we launched a desk and chair design called the ConnectMe system that we exhibited and sold in the MoMa Store in New York City. Today, we've re-envisioned that design, creating a modern, highly durable and adaptable desk and chair that are here just in time for kids to begin school in the fall. Our priorities during the design process were durability and functionality, which we achieved by creating an adjustable desktop and chair height. 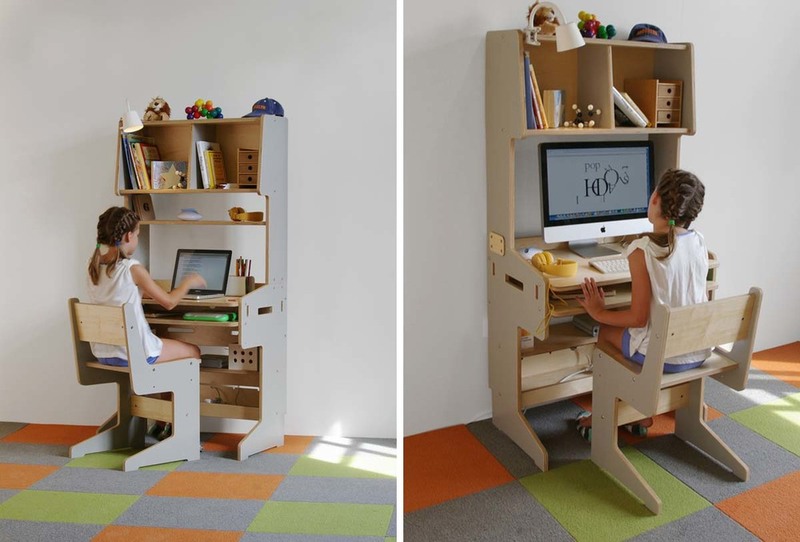 The desktop can easily be adjusted to two positions, the highest setting being appropriate for most adults so that the piece evolves as a child grows. Rear wire holes and a low shelf for placing routers, surge protectors and wiring ensures that clutter is minimal. Two shelves above the desktop allow for plenty of space for storing books and folders, while plenty of clearance remains for a desktop computer. 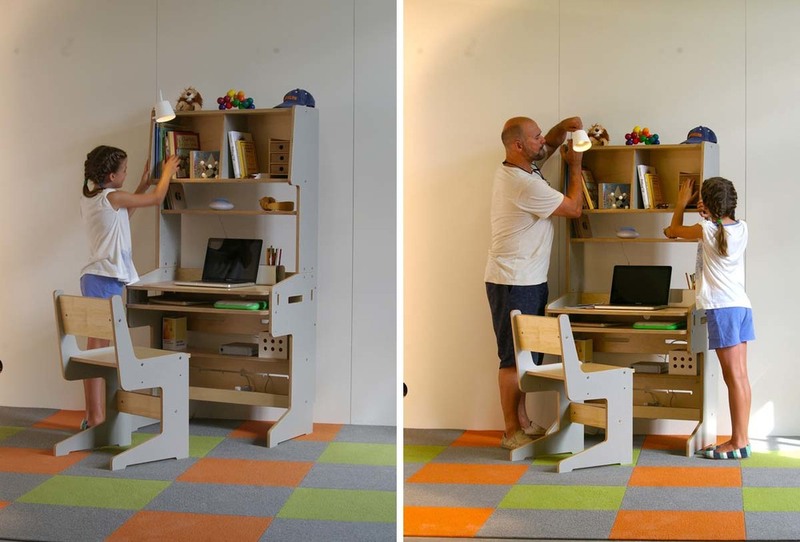 A nook below the desktop is perfect for storing a laptop or other supplies. The inspiration for the creature-like design, which we like to think of as having legs, a belly and a head, was the human form. The desk's height and size are familiar to our own, and the lines of the pieces contain subtle references to our own bodies. As much fun as we had designing this piece, we may have had more photographing it. Check out the pictures to the left.